The elegant tango Comme Il Faut was written by the great player, composer, and bandleader Eduardo Arolas (also known as El Tigre del Bandoneon) between 1917 and his untimely death in 1924. Crisp rhythmic eighth notes and beautiful singing melodic lines converge to create this clean and proper tango. 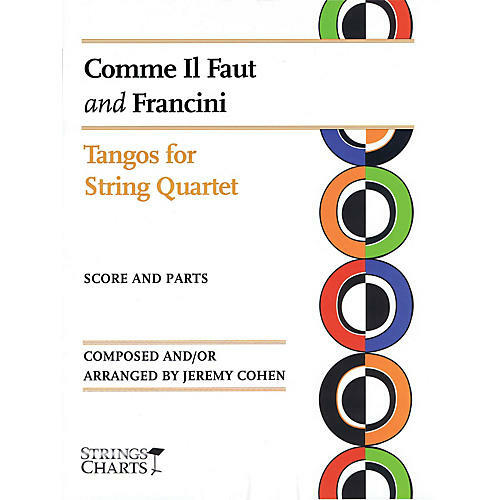 A tribute to violinist and bandleader Enrique Mario Francini (1916-1978), Francini captures the beautiful style and tone of the tangos written by its namesake. All members of the string quartet share the limelight at different times during the playing of this dignified piece.